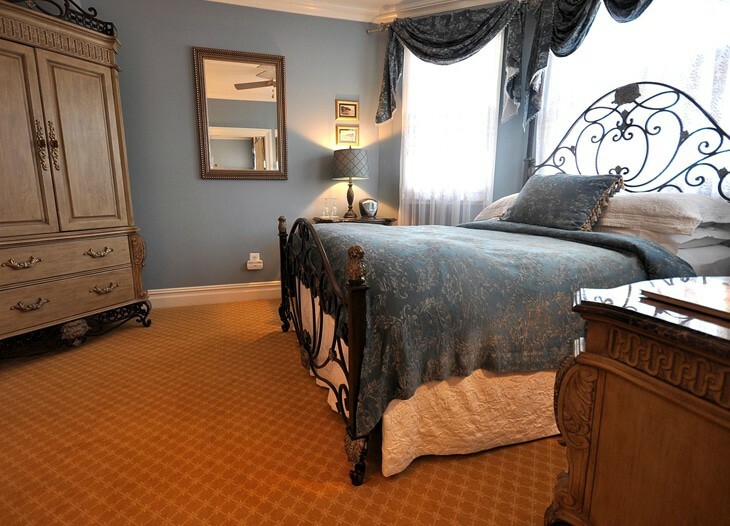 Relax in comfort at this Victorian mansion situated right in Ocean City, New Jersey. At over 120 years old, this historic seaside B&B has been refurbished to completely suit modern times, with whirlpool tubs for two, therapeutic body spa showers for two, fireplaces, and private rooftop decks with ocean views in each room. Choose from a wide variety of Spanish, French, and Italian-styled villas for you and your loved one at the Atlantis Inn. Try the “Seville” room, glowing with bright yellows and rich maroons. Or the “Versailles” room, aptly the most spacious suite, with a French King bed and regal furnishings. Wake up to a full American breakfast and then spend the day soaking up the sun at the beach just steps away.